The Department of Gynecology and Obstetrics at Saint Joseph´s Catholic Hospital provides quality care for women of all ages, from pregnancy to menopause, placing emphasis on prevention and education. Our medical professionals specialize in the care of women before, during pregnancy, delivery and the postnatal period. The diseases of the female genital system are well taken care of. Gynecological surgery minimally invasive. Laparoscopy and hysteroscopy. Program of prenatal visit to our hospital so that pregnant women can familiarize themselves with the facilities of maternity and the process that they will follow during labour. PMTCT Program (Prevention of Mother to Child transmission of HIV & AIDS). Anti-Retroviral (ARV) Program where drugs are given free of charge after counseling and Treatment of opportunistic infections. The ARVs and test kits are given to us by Government through the Global Fund. Formula Program for exposed Babies. Prevention and treatment of obstetric fistula. Assistance and control in childbirth on emergency or planned cesarean. Emergency and planned hospitalization in processes related to labour. Obstetrics is the medical specialty that deals with the care of awomen and their children during pregnancy, childbirth and the postnatal period, known as puerperium. 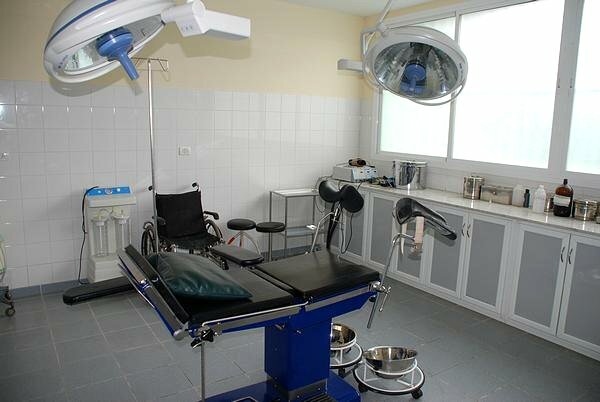 The Gynecology and Obstetrics Deparment of Saint Joseph´s Catholic Hospital is formed by Dr. Bowman, Dr. Matar and Dr. Tadros. The Saint Joseph´s Catholic Hospital, through its Gynecology and Obstetrics Deparment, participates in the training of Interns who graduate from the A.M Dogliotti Medical College and other Medical Colleges outside Liberia assigned here for their rotation by the Liberia Medical and Dental Council.